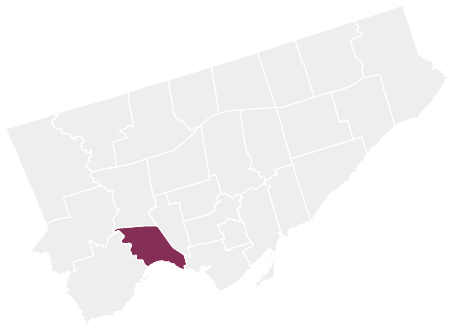 The 2018 municipal election was sure to be one of the most interesting – and contentious – in Toronto’s history, after Premier (and former city councillor) Doug Ford slashed the number of city wards from 47 to 25. The move – which is the subject of an ongoing legal battle – was announced this summer but cemented only last month, leaving city staff scrambling to redraw the ballots. In the end, there were 242 candidates fighting for half as many seats. And in many cases, the frantic contest pit popular incumbents against each other. 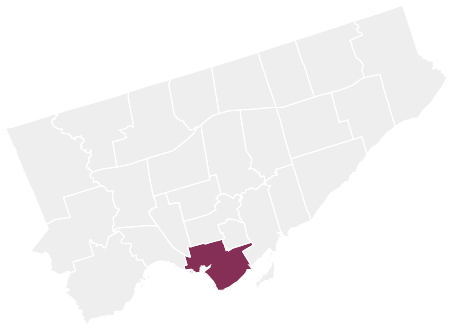 Michael Ford, nephew of the Premier, defeated another council incumbent in Vince Crisanti, with 42 per cent of the vote. The race was complicated by old family connections. Mr. Crisanti was a staunch ally of former mayor Rob Ford, and lost his post as John Tory’s deputy when he backed Doug Ford’s nascent mayoral campaign last year. Stephen Holyday , an incumbent and the son of long-time councillor Doug Holyday, narrowly defeated fellow city councillor John Campbell. Angelo Carnevale, a friend and former football teammate of the late mayor, finished a distant third. Mr. Carnevale’s campaign launch was supported by Premier Doug Ford. Incumbent councillor Mark Grimes won a three-way contest with Amber Morley, former constituency assistant to John Cambell, and Pamela Gough, who had served as school trustee for the last eight years. Mr. Grimes, with 41 per cent of the vote, received a late endorsement from Mayor John Tory, who made a robo-call in support of his candidacy on the final weekend of the campaign. One of the left-wing leaders on council, incumbent Gord Perks, handily defeated restaurateur David Ginsburg, owner of Parts and Labour and White Squirrel coffee shop. Kalsang Dolma, a settlement worker who came to Canada as a refugee from Tibet, finished third. Long-time councillor Frances Nunziata, a former speaker of city council, defeated fellow incumbent Frank Di Giorgio, a councillor in Toronto and North York for more than 30 years, as well as social worker Chiara Padovani. James Pasternak defeated fellow incumbent councillor Maria Augimeri by 10 percentage points. Louise Russo, who survived a shooting at a Toronto sandwich shop 14 years ago and was endorsed by senior Liberals Roy McMurtry and Judy Sgro, finished in third place. 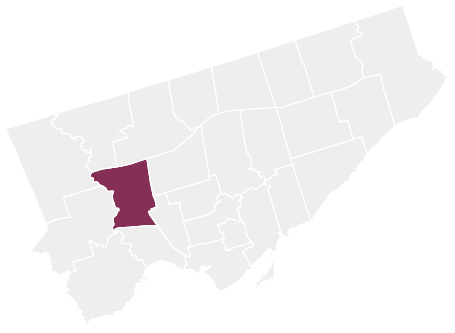 Giorgio Mammoliti, a polarizing candidate and Ford family ally, went down to defeat at the hands of fellow incumbent Anthony Perruzza, 36 per cent to 24 per cent. Deanna Sgro, a lawyer, and Tiffany Ford, a school trustee, finished third and fourth, respectively. 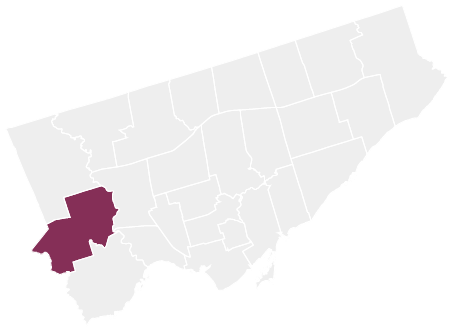 Mike Colle, a former Liberal MPP, won the race to replace his own son, incumbent TTC chair Josh Colle, who quit politics to return to the private sector. The senior Mr. Colle handily defeated incumbent Christin Carmichael Greb and lawyer Dyanoosh Youssefi. Incumbent Ana Bailao carried this race easily after fellow incumbent Cesar Palacio dropped out last month. In the end, she faced off against three newbies, taking more than 83 per cent of the vote − the biggest share of any incumbent. Ms. Bailao has been a city councillor in Toronto since 2010. This last term, she was appointed council’s housing advocate, and was also deputy mayor, south. Joe Cressy secured his downtown seat for a second term. Though his victory seemed certain during the campaign, he did have one noteworthy opponent: Al Carbone, the proprietor of the Kit Kat Italian Bar & Grill near King and John Streets, made headlines this summer after erecting an ice sculpture on the street, depicting a hand giving the middle finger in protest of the King streetcar pilot project. This was an easy race for Mike Layton, who took just shy of 70 per cent of the vote. This will be the third council term for the son of late federal NDP leader Jack Layton. Joyce Rowlands and Nicki Ward finished a distant second and third, respectively, in this race. Josh Matlow defeated fellow incumbent Joe Mihevc − one of the few candidates endorsed by Mr. Tory. Mr. Mihevc had been a councillor in Toronto (and the former City of York before that) since 1991. Mr. Matlow, a frequent critic of Mr. Tory’s plans, and specifically his Scarborough subway extension plan, has been on council since 2010. As widely expected, Kristyn Wong-Tam handily beat ex-Liberal MPP and former mayoral hopeful George Smitherman, who lost to the late Rob Ford in the 2010 election. Fellow incumbent Lucy Troisi (who was appointed councillor after the death of Pam McConnell last year) finished third. 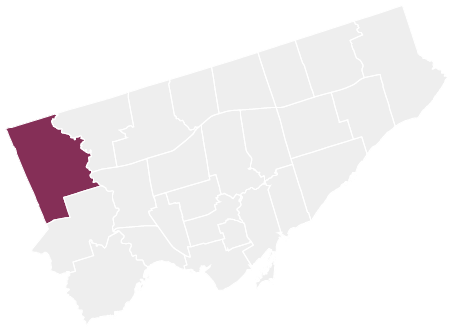 Despite being close allies, fellow incumbents and NDP members Paula Fletcher and Mary Fragedakis were forced to battle it out for the new Toronto-Danforth ward. 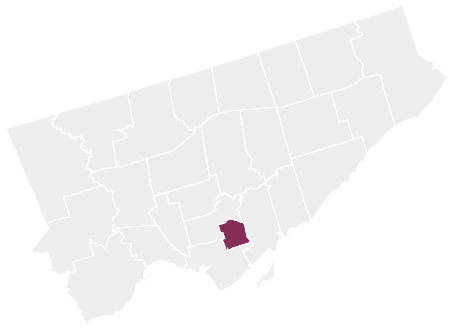 Ms. Fletcher, who was victorious, had represented the area from Danforth south to Lake Ontario since 2003. Ms. Fragedakis had represented the area from Danforth north to the Don Valley Parkway since 2010. Jaye Robinson won the race against fellow incumbent Jon Burnside. The two have held fairly similar positions, and both had been allies of Mr. Tory. A challenge for Mr. Burnside in this race was that only a portion of his old ward figured into the new boundaries. Winner Denzil Minnan-Wong, a long-serving councillor and former deputy mayor, took a leave from his post earlier this year to run for the Progressive Conservatives in the provincial race, where he lost to the Liberals. His challenger in this race, David Caplan, a former Liberal cabinet minister, had been out of the political game since 2011. Shelley Carroll is officially returning to council, just months after leaving to run unsuccessfully for the Ontario Liberals. Ms. Carroll, a councillor for the past 15 years and the former commissioner of the Toronto Transit Commission, was up against eight other candidates, with runner-up Christina Liu pulling off around 12 per cent fewer votes than the incumbent Ms. Carroll. Long-time councillor John Filion will be back for another round on council, a victory that comes after a U-turn in his initial plans. Mr. Filion first became a councillor for the City of North York in 1991, and had announced his intention to retire this fall. He endorsed Markus O’Brien Fehr and Lily Cheng in their respective council bids, but rejoined the race when the ward became larger and Mr. O’Brien Fehr backed out. Ms. Cheng came in second place Monday night. Incumbent Gary Crawford squeaked out a narrow win over fellow councillor Michelle Holland-Berardinetti by about one percentage point of the vote. Both councillors were elected eight years ago. The result also means another loss for second-time council candidates Paulina Corpuz, John Letonja and Robert McDermott. 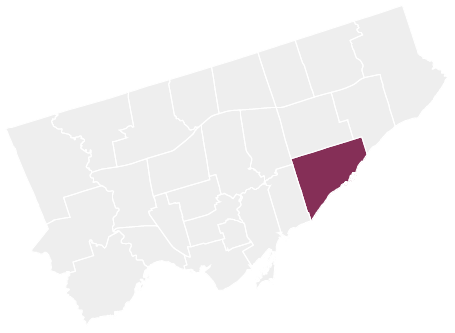 Incumbent councillor Michael Thompson won decisively with nearly 70 per cent of the local vote. This will be the fifth term for Mr. Thompson, who has recently served as chair of the city’s economic development committee. Councillor Jim Karygiannis has bested long-time politician Norm Kelly after a bitter fight, with Mr. Karygiannis pulling off more than 45 per cent of the vote – about 10 percentage points more than Mr. Kelly. 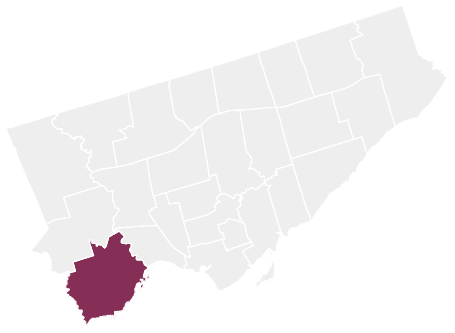 The former Liberal MPs have each represented constituents in their area for decades, carrying their respective wins in 2014 by substantial margins. Cynthia Lai will be one of only a few new faces on the new Toronto council, pulling off a victory over Maggie Chi in the open Scarborough race. Ms. Lai, a community activist with a background in the real estate industry, stressed the Scarborough subway build, support for seniors and neighbourhood safety in her campaign. Councillor Paul Ainslie will return to his council seat after a sweeping victory over runner-ups Michelle Spencer and Priyanth Nallaratnam. The result is still a slight dip from his landslide 2014 win. Mr. Ainslie was one of nine names on the ballot this fall, and like many of his challengers, stressed curbing gun violence in the campaign. Councillor Neethan Shan won’t be returning to City Hall this fall, unseated by candidate Jennifer McKelvie, who ran unsuccessfully in 2014. The race came down to a wire, with less than one percentage point separating the two candidates at the end of Monday night. Mr. Shan has only sat on the municipal council since last year, brought in after a by-election victory.